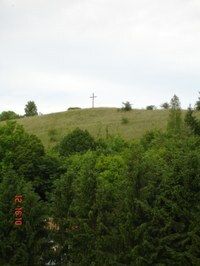 The original village, situated on a rocky ridge, was clustered primarily around its church. The church, built at the start of the 17th century on a small promontory planted with lime trees, is dedicated to St George, who is called upon to cure earaches and headaches. There used to be a rather naive custom requiring pilgrims suffering from one of these infections to place an iron crown on their heads and to walk, wearing it, three times around the church. 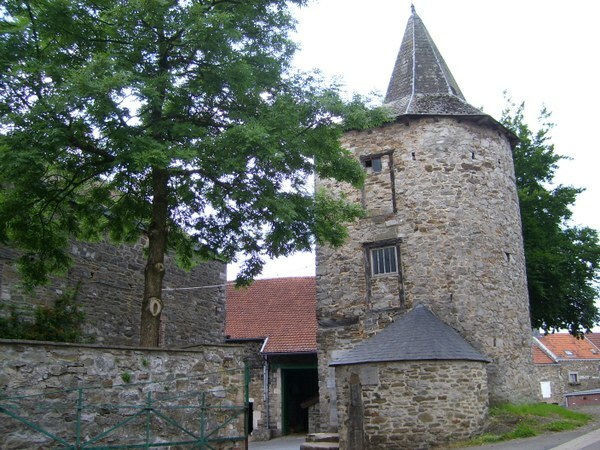 The Ferme de la Tour Wolff dates from the early 17th century. 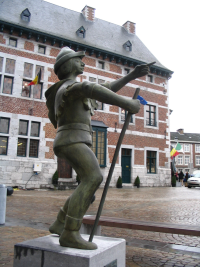 The tower was named in memory of François Wolff, mayor of Theux, who the Prince-Bishop Ferdinand de Bavière allowed to erect, or rather raise the height of, the tower of the farm in 1645 to serve as a defence and retreat for the inhabitants of Oneux. The nearby Château de Sohan and the farm formed an important complex back in the 17th century. Le Cazer is made up of a set of small houses forming a sort of mining village from the first quarter of the 20th century. 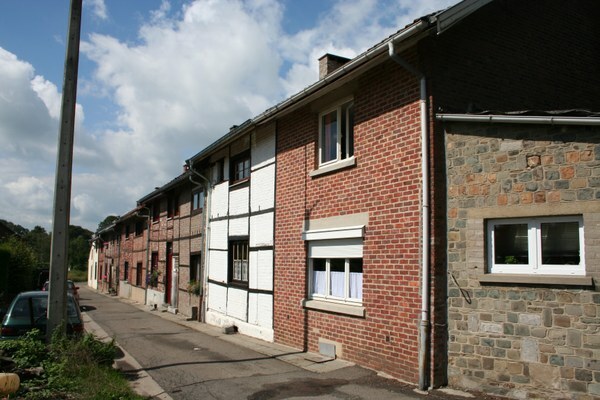 These half-timbered plastered-brick houses were built for workers at the Le Rocheux mines. The houses are terraced and have cob walls. They are back-to-back houses and have an upper floor, as each house was used for two families: each family had two rooms measuring five metres by five, one to live in with an open fire, and the other to sleep in. The old Le Rocheux mine site is now a nature reserve covering 500 hectares. There used to be a mine which was at its peak from 1859 to 1880, employing up to 450 workers. Clinker and ore waste have accumulated on this exceptional site and this has led to the development of special and rare flora and fauna. 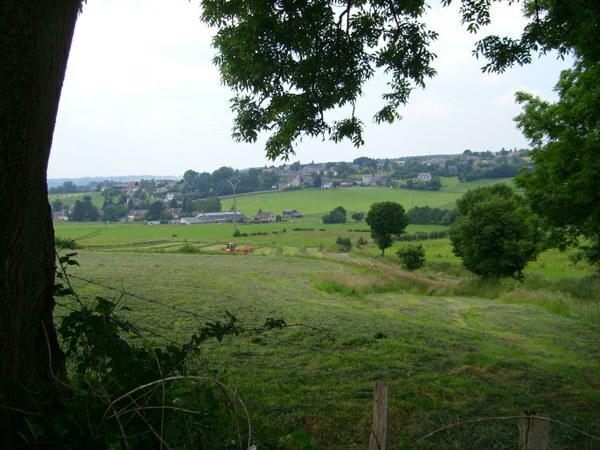 In 1949, the le Rocheux calamine waste heaps were listed as Walloon heritage.